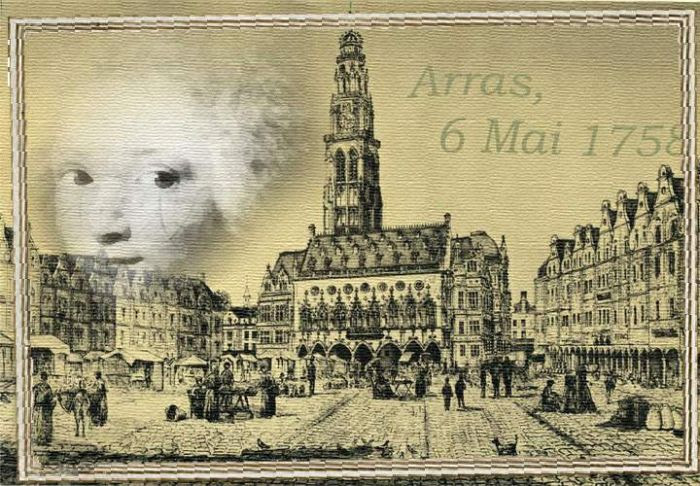 Rodama: a blog of 18th century & Revolutionary French trivia: Robespierre's Arras cont. It is hard to find many traces of Robespierre in Arras. The Association des Amis de Robespierre pour le Bicentenaire de la Révolution [ARBR] has produced a bilingual walking guide with various sites itemised which I have followed it diligently on Google maps but, apart from the imposing central squares, it is mostly a tour of shopping streets, road works and wheelie bins. Nor is there much official recognition of the town's most famous son - a 19th-century statue stands in the the Hôtel de Ville but there are no municipal plaques and, to the surprise of many visitors, no real Robespierre museum. Robespierre's early childhood is a matter of parish records. His parents were married in January 1758 in the church of St.-Jean-en-Ronville, in the prosperous parish in the south of the old town, and Robespierre himself was baptised on 6th May 1758 in the church of La Madeleine. The family moved around within the confines of the town: François de Robespierre is recorded living in four different parishes in as many years: St-Géry, Ste-Marie-Madeleine, St-Etienne (where Augustin was baptised) and St-Aubert (where Robespierre's mother was buried in 1764). At the time of Augustin's baptism, François gave his address as the rue des Jésuites. None of the churches survive today. The church in the place de la Madeleine where Robespierre was baptisted was demolished in his own time, swept away in the reconstruction of the Abbaye Saint-Vaast. This image is pretty hard to conjure up in the modern rue Ronville, a pedestrianised shopping street. A plaque erected by Société des Études Robespierristes in 1994, marks the site of the house (no.12). The former Jesuit school, the Collège d'Arras, run by the Oratorians after 1775, counted both Robespierre brothers and Joseph Le Bon among its pupils. 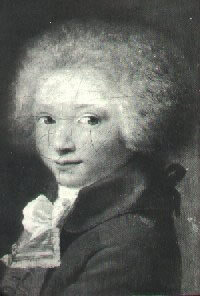 Robespierre, who received a bursary from the Abbaye Saint-Vaaste, attended as a day pupil from 1765 until 1769 when he moved to the Collège Louis-le-Grand in Paris. 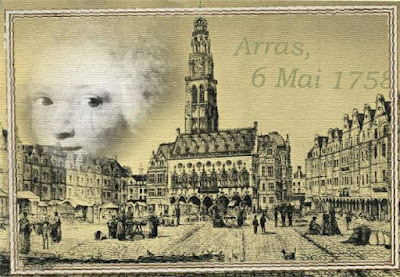 It was in the church of the Collège that the corporations of the Third Estate of Arras assembled in March 1789 to begin the process of electing deputies to the Estates-General. The Oratorians were proscribed in August 1792 and the College closed a year later through lack of pupils. The buildings were sold as biens nationaux. 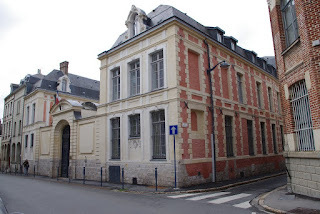 The school functioned for a time inside Abbey precinct, but in 1795 under the influence of Pierre Daunou the main departmental Collège was re-established in Boulogne rather than Arras. Today the school is recalled only by the existence of the rue du Collège and rue des Jésuites. 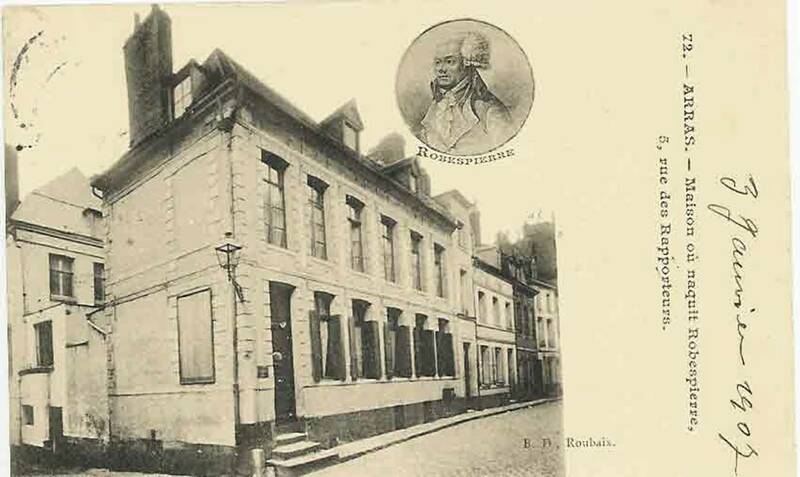 The so-called "Maison Robespierre" is the only substantial piece of Robespierre heritage in Arras. Robespierre returned to his hometown from Paris in 1781 to begin practising law. 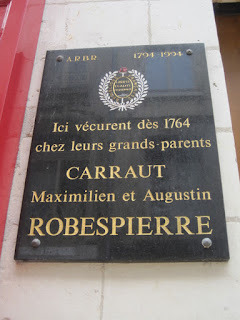 By this time both his maternal grandparents had died and the family was in a dispute over Jacques Carraut's inheritance, with Robespierre's paternal aunt Henriette and her doctor husband François du Rut laying claim to a share of his dead sister's legacy. 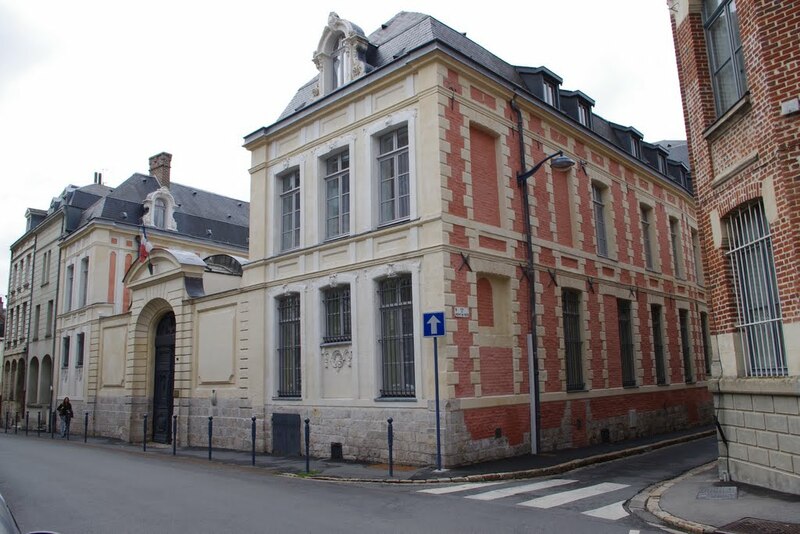 For a year Robespierre lived independently with his sister in the rue du Saumon, but in Autumn 1782, he gave a receipt for the residue of Henriette's legacy and accepted rooms at the Duruts' house in the rue des Teinturiers, close to the newly completed Abbey complex. In 1786 as his income improved, he and Charlotte moved back to the Basse-Ville, to the rue Lepelletier, then the rue des Jésuites. It was in 1787 at the earliest that he took possession of what is now the Maison Robespierre. 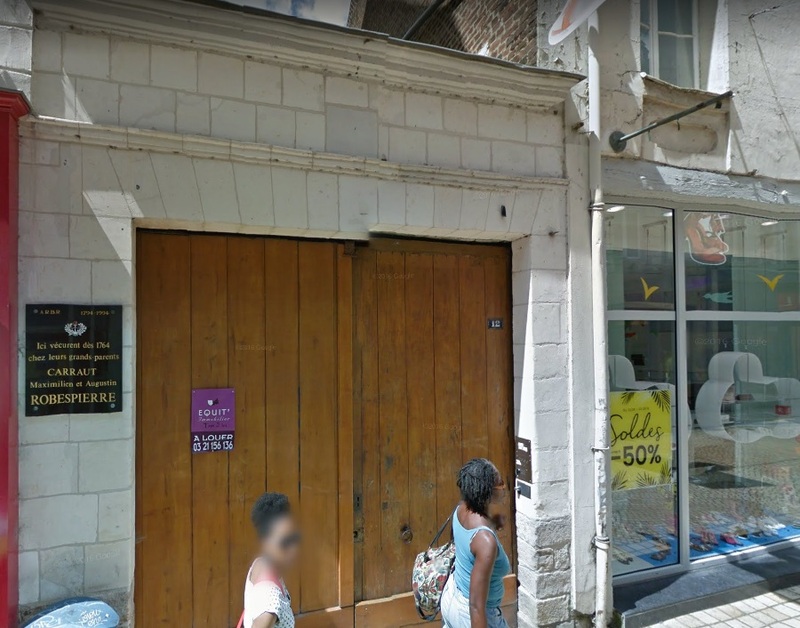 The house is situated at the angle of the rue des Rats-Porteurs (now rue Maximilien Robespierre) and the little rue des Rapporteurs, only a few minute's walk away from the Palace of the Conseil d'Arras in the place de la Madeleine where Robespierre pleaded. His neighbour was the Chevalier de Mardre the Second President of the tribunal, for whom he acted as secretary. 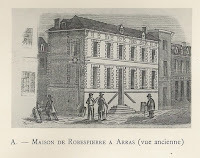 Robespierre did not own the property, which belonged until 1830 to Defétel family. Nonetheless, according to the ARBR, the choice of the quarter and the substantial nature of the house itself, were signs of "une certaine aisance"
It must have been here that Robespierre wrote his Adresse à la nation artésienne. He left the house in 1789 but Charlotte and Augustin presumably remained there until September 1793 when both moved to Paris after the elections to the Convention. It would also have been to this house that Robespierre returned during his brief sejourn in Arras in October 1791. It was not until 1992 that the municipality was finally persuaded to secure the house for posterity. In 1997 it was given over to the Compagnons du Tour de France, a society of traditional craftsmen, who defrayed cost of renovations and converted it into a museum. 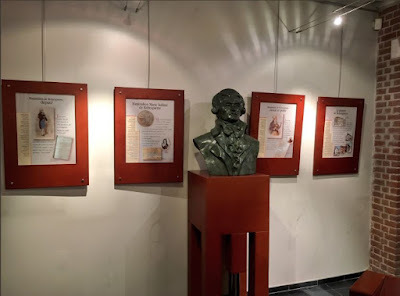 Only the lobby area was reserved for a modest Robespierre display - a copy of the statue in the Hôtel de Ville, and a few cases containing information. However, finally there is promise of better things. At the end of 2016 the Compagnons vacated the house and returned it to the town of Arras. A committee of experts has since been appointed to investigate options for a new museum centred on Robespierre. [The rue des Rapporteurs] is a long, crooked, dark street, at the end of which, and at the corner of a little street lit by a smoky lanterns, stands a two-storied grey house. Three steps lead to the door; the first floor has six high, narrow windows; the ground-floor has five, with ill-fitted shutters which do not close completely. The whole place has an air of sadness; it is grey and lugubrious, melancholy and distressing. Fleischmann, Robespierre et les femmes (1909), p.19. John Haycraft visited the Maison Robespierre in 1989 or shortly before. He describes the building as "sombre, with layers of red brick and grimy white stone, standing in a line of similar houses". It had a first floor, attic windows in the roof, and the date 1730 visible under the eaves. A dog or perhaps a drunk had urinated on the steps. A sign showed that even at this time it was still a school of shorthand-typing; the door was locked and Haycraft was told that the school closed for the holidays He imagined it "normally full of young girls, who perhaps brought it the giggles and high spirits which Robespierre shunned". The hôtel Dubois de Fosseux , in the rue du Marché-au-Filé was the winter residence of Ferdinand Dubois de Fosseux, municipal counseller and leading member of the Academy of Arras. It was bought by the State in 1952 and is now the seat of the Chambre régionale des comptes. 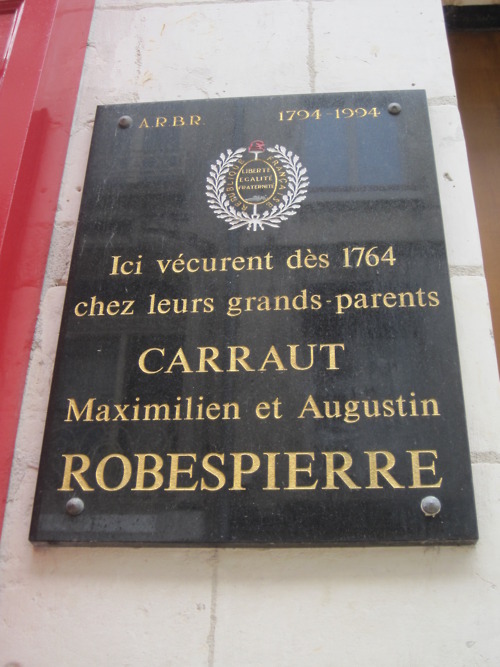 Dubois de Fosseux was a sponsor of Robespierre - according to Peter McPhee, the Carrauts may have had links with him through his estates in Fosseux; in 1786 he wrote to Robespierre for missing a session of the Academy,"gambollng about in our district". In 1785 Robespierre ran against him unsuccessfully as the Academy's perpetual secretary. In 1789 he fell out with him over attempts by the nobles of the municipal council to dominate the deliberations of the Third Estate . (McPhee, p.30; 57) Dubois de Fosseux became the first elected mayor in 1790; he held various offices under the Revolution and Empire; he was imprisoned during the Terror but narrowly survived to be liberated after Thermidor. 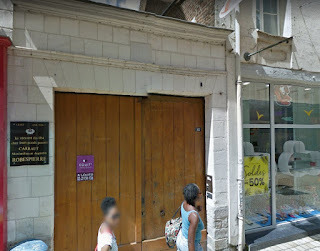 L'hôtel Dubois de Fosseux, bijou du XVIIIe siècle et lieu de rencontre des Rosati, Arras Maville.com, post of 26.07.2008. 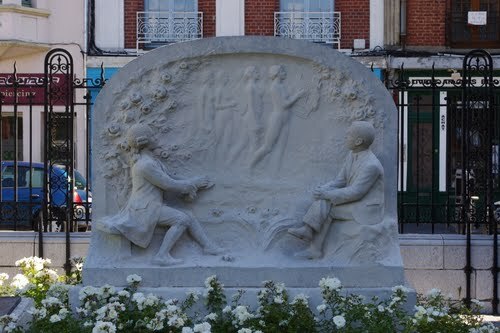 Monument to the Rosati, sculpted by Augustin Lesieux in 1928. 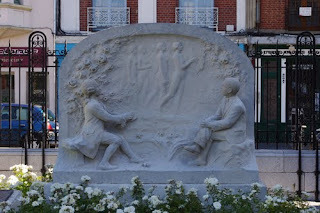 A monument commemorating the two hundredth anniversary of the Rosati, formerly in the jardin des Allées can be seen today in the place de La Vacquerie behind the Hôtel de Ville. The figures were decapitated in 1996, apparently by vandals in 18th-century dress; an anti-Robespierre motive was suggested but never proven. Maximilien-Marie Isidore (de) Robespierre. 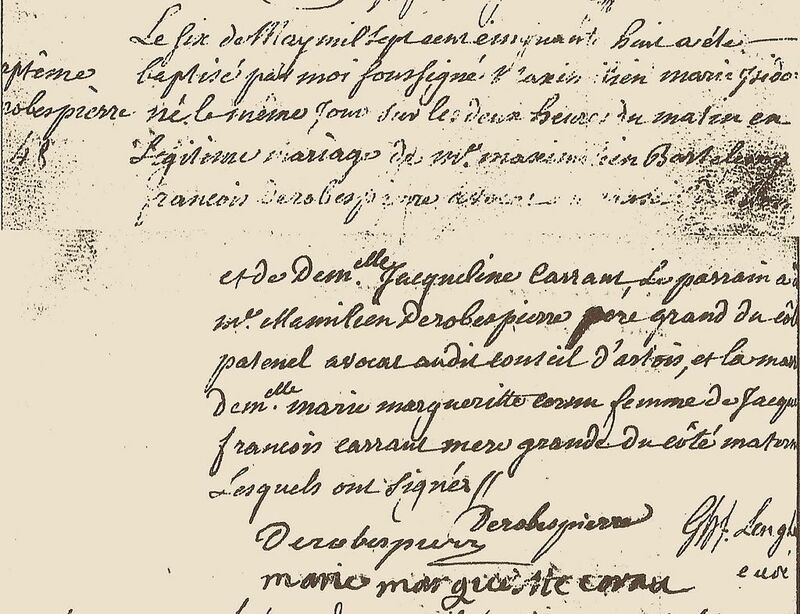 Born 06/05/1758 (baptised in the Church of Sainte-Madeleine; parents François Derobespierre, a lawyer, and Jacqueline Carraut). 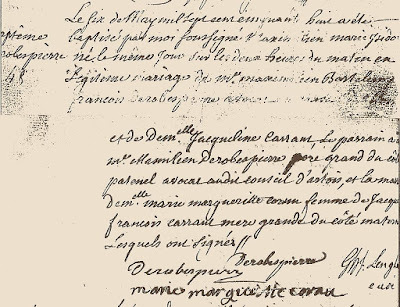 Saint-Vaast at the Collège Louis-Le-Grand in Paris (10/1769 to 1782), Bachelor of Law (31/07/1780), Licensed (15/05/1781, with a gratuity from the Collège of 600 livres). Avocat of the Parlement of Paris (02/08/1781) then at Arras (1781; first case pleaded 02/1782); avocat to the Conseil Supérieur of Artois (registered 08/11/1781), secretary to M. de Madre, 2nd President of the Conseil d’Artois (1781), judge of the Siège de la Salle épiscopale (09/03/1782-1788, nominated by the Bishop of Arras Mgr Couzié). Member of the Rosati (literary club); member (1783) then elected Director of the Academy of Arras (06/1786).